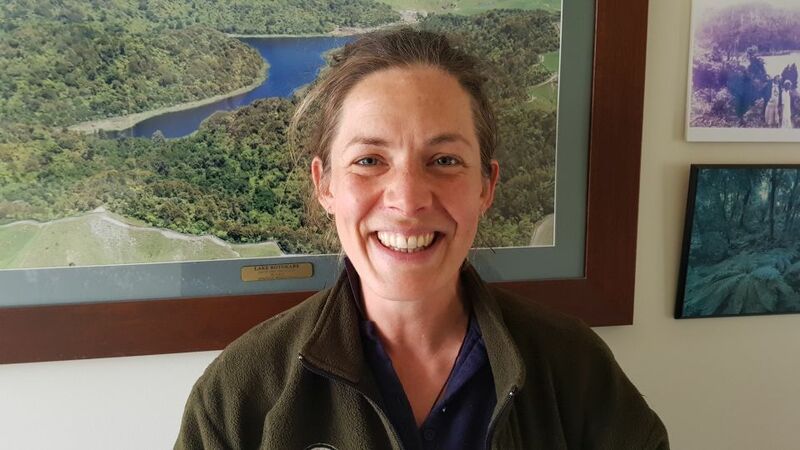 Its my job to look after the 230ha Rotokare Reserve – working hard to keep this pest free by maintaining the fence and being ever vigilant monitoring for pests! I also keep an eye on some of the creatures living here (like the hihi and kiwi) and manage much of our awesome volunteer team. I've been working in conservation for around 12 years, with DOC, Universities and community organisations. I've got to work in some pretty special places (from offshore islands like whenua hou and anchor island, to places far far away like rural Australia, and the forests of Madagascar), with some pretty awesome creatures (mostly with our special birds such as kakapo, black robins, and kea). Spending time with the unique critters that live here at Rotokare. It's cool to be able to see and hear species which you might not be able to meet in other places, and to know your work is helping to keep them safe. They've all got their own personalities and I feel really privileged to be able to get to know them! Trying to fit everything in! There's always lots to do so I always have to be mindful about what tasks are the most urgent. Lucky for me, I have a great volunteer team who help us deliver all the amazing projects we're working on! Lots and lots of things! Always heaps going on at Rotokare - we're a small team with a busy site to look after. Winter is usually when we try to catch up on jobs like fixing our walking tracks, but I've also been kept pretty busy checking up on the young kiwi we monitor here, plus the usual checking of traps and keeping the fence in good condition. Also getting ready for our next round of bird monitoring to see how the birds are after a chilly winter. Sometimes it can be hard to fit things in, especially when you're you're working with animals and you're not sure how long something is going to take! One morning we had a vet coming in to check on a couple of kiwi we are looking after – the vet had limited time (coming in on his day off! What a guy!) so we had to go and find the kiwi before he arrived! Normally if you have a tight time frame the kiwi make it tricky for you, but lucky for us with the help of a few great volunteers we were able to split up and find both birds – just in time for the vet arriving, whew! A case of mistaken identity! We were out looking for one of our adult male kiwi, to change his transmitter. We'd finally found where he was – in a giant fortress of a burrow – and were trying to get to him. After quite some time digging about, we finally managed to reach him! Getting ready to change the transmitter someone happened to ask “who's got the transmitter? Did you take it off already?” wait a minute... this one doesn't have one! We'd grabbed out his girlfriend instead of him! Lucky for us he was still in the hole and hadn't run away while we weren't looking! Always pays to double check you have the right bird! You never know when there might be two in the same place. I love going on adventures, the great outdoors and exploring – hiking, camping, kayaking, mountain biking, beach combing.. anything outside. I really like reading, playing music and going to gigs. I love making things – from growing stuff in our garden, to making cheese, or drawing stuff. I also play soccer for our local women's team.